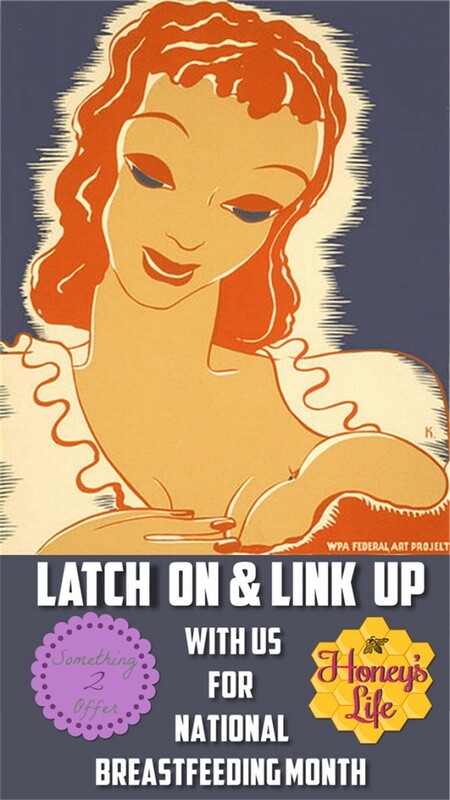 August is the National Month of Breastfeeding so come latch on and link up! Thaleia of Something 2 Offer and I are cohosting a link up in support of it. This month we’ll be sharing our own breastfeeding journeys with you and we’d love to read yours too. as well as many others breastfeeding and breastmilk related posts. I personally am a huge advocate of breastfeeding. I’ve wet nursed, pumped and donated milk to a mother that was unable to nurse and I’ve worked with hundreds of women over the past 20 years helping them establish a healthy breastfeeding relationship with their child….even if that means their child never touches a bare breast. So, if you’re a doula, lactation consultant, momma, grandma, midwife, supportive ob/gyn or father of a nursling and you have a post in support of breastfeeding, bottle feeding with breast milk or a post sharing why you chose another route we’d like to have you link up. Remember all links should be family friendly, must not be shaming of mothers who choose to use breastmilk OR formula, may not be to a giveaway, may not shame a woman for breastfeeding in anyway she chooses and may not be a message of hate. Oh! 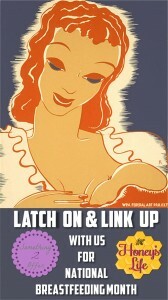 And, if you’ve a small business or know someone who does be sure to tell them about the upcoming Latch on Giveaway! We’re still accepting vendors. So forward them the link.